As a restaurant owner, you know you’re in a highly competitive industry. Currently there are more than 1 million restaurants in the U.S. , and more are opening daily. On top of that, it’s a consumer-driven industry, and with the amount of consumer-generated media available, word of mouth travels fast. Because of this, restaurant owners are under more pressure than ever to make a good first impression when they open their doors. Practice makes perfect: From the front of house to the back of house, you have a lot of moving parts. A soft opening allows you to observe and train your staff in a live but controlled environment, so you can fine-tune your food, service, and operations. Get real feedback: Before you officially open, it’s important to solicit feedback. A soft opening allows you to gauge customer reactions to your restaurant concept, menu, and service so you can make tweaks where necessary. Time: When you host your soft opening, you should do it with a grand-opening date in mind. 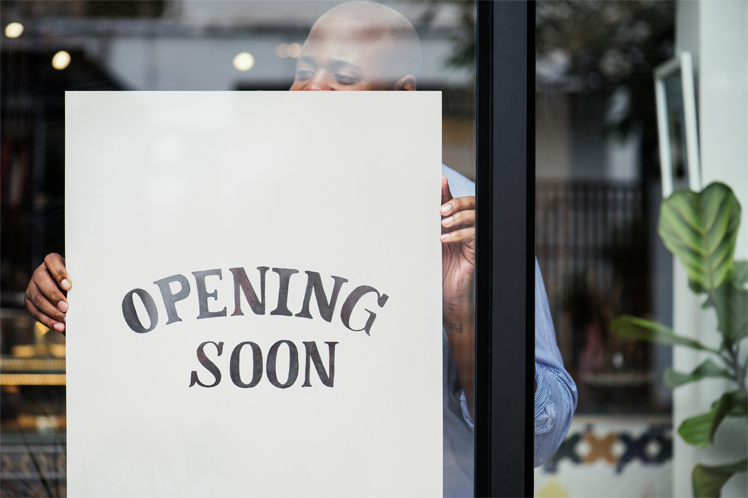 Ideally, your grand opening should come soon after your soft opening, so you capitalize on hype and potential customers don’t lose interest. If you decide to have a soft opening, it creates some urgency for your official opening. Expense: In the time leading up to your grand opening, you’ll likely be dealing with a number of variables, including construction, renovation, and permitting. During that time, you’re paying rent without revenue. Considering this, most restaurant owners want to open as quickly as possible. But if you opt for a soft opening, you need additional days or weeks before officially opening, which means more time without revenue. It will also probably require a series of events, and you may be providing free or discounted food and drinks. Free: This can be the most effective way to garner feedback and create goodwill with potential customers, but it’s also expensive. If you do a free event, consider paying your team a higher hourly wage since they most likely won’t be tipped. Discounted: This is a good middle-of-the-road option. If you go this route, make sure to let guests know what the meal would normally cost, so they can tip accordingly. You also want to make sure press knows the right prices to report. Full price: While this is obviously the cheapest option for you, it’s considerate to offer a free drink or some other perk to incentivize people to offer constructive feedback. Executing: Create a timeline for execution and take the time to train your staff. Prioritize customer experience at your soft opening, as this is a critical opportunity to make a good first impression. Test your technology: Make sure to use your point of sale, card payment system, and printers during your soft opening to confirm everything’s working properly. Want to learn more about staging a soft opening? Download our guide. What Are the Key Factors When Managing a Restaurant?